You can achieve better body transforming results and be much happier during the process if you stay off the scale. So, first things first – if you’re going to participate in the following challenge (staying off the scale), you need to get rid of it. Now. Yes, I haven’t told you why yet, but that doesn’t matter. Go grab your scale, and then get rid of it. Put it in a very inconvenient place so you’re not tempted to step on it; in the attic, somewhere in the garage, like a creepy corner that hasn’t seen a good spring cleaning since the 80s, or anywhere it’s not easily accessible. If you know you’ll crawl on your hands and knees into the dark abyss to retrieve the scale, then have a friend or family member hold on to it for you. Or, and I really like this option – take it outside for some target practice. Now that you’ve put away the scale, we can discuss why you did so. If you weigh daily or in an obsessive-compulsive-fashion, or if your mood is easily affected by the number you see on the scale, you can definitely benefit from ditching it. Do you freak out if the number increases by a mere half pound? Yep, this article is for you. Do you just want to look better in and out of your clothes, improve your health, and perform better in the gym? If so, you most certainly should read the following information. (Please notice that this isn’t for people who must keep track of their weight for sports and athletic events). The most common reason people give for weighing every day or multiple times a week is to “keep an eye on potential weight gain”. The scale serves as a sort of “checks and balances”. Let me ask an important question – To those for whom this question applies, why do you expect weight lost to suddenly “creep back on”? Have you not yet adopted a lifestyle that will prevent this from happening? Prevent regaining weight lost by applying sustainable, stress free nutrition and eating habits that you can maintain long term. You need a lifestyle eating plan so you don’t constantly have to worry about, and focus on, your body weight. In my opinion, if your current eating plan has you in a daily battle with maintaining your weight, then you really need to change what you’re doing. Don’t be a lifetime dieter – take the time to experiment and find a nutrition approach, eating plan, and training regimen that is simple and doesn’t stress you out on a daily basis and that allows you to maintain your appearance/body weight with ease. I know you want me to give you an answer, but there isn’t some holy grail hidden from you. For more information, check out The Nutrition Survival Guide. Yes, in a sense, the scale can lie. 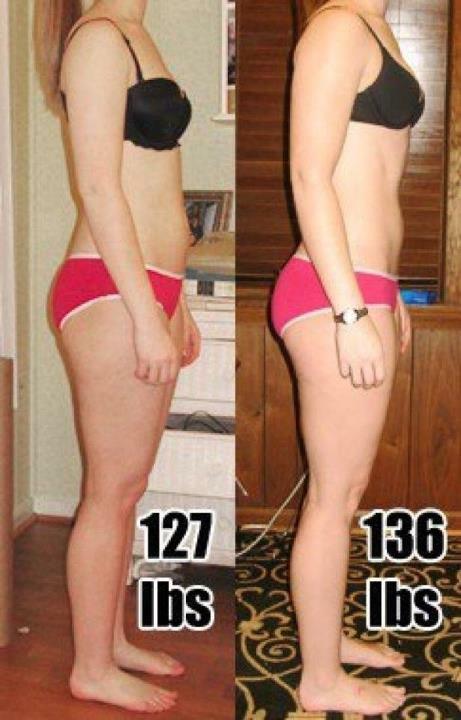 For starters, the scale doesn’t just reveal fat loss. You can step on a scale and see a weight loss of several pounds, but that weight loss may not even be from fat; it could be from water loss. 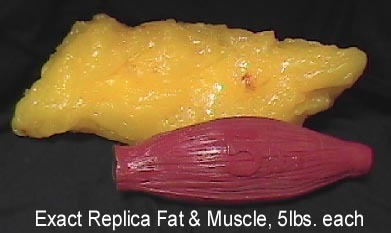 This needs to be stated – muscle does not weigh more than fat. A pound is a pound whether it’s fat, muscle, bone, feathers, animal feces, or lead. However, muscle is more dense than fat. Muscle is more dense than fat, and that’s why a woman who’s been training hard and, despite losing body fat, hasn’t seen the number on the scale change much, if any, because she’s built muscle, too. This is one reason why building muscle is a very good thing for women. Here’s a picture to show that you can look better even if you gain weight. This is one of Jason Ferruggia’s clients. As you can see, she gained 9 pounds but looks leaner, more “toned”, and more athletic because she lost body fat and built muscle. 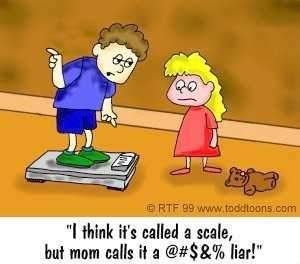 Good thing she didn’t let the number on the scale upset her! Do any of you weigh yourself daily, or most days per week? Do you find your mood can be easily affected by the number staring back at you? I’ve never been in better shape before but the scale keeps telling me otherwise! So frustrating but I’m learning to ignore it! But why is that?!? This statement truly befuddled me! This poor woman believes she’s in the best shape ever, but the scale is showing a weight that’s higher than she deems appropriate. I’m willing to bet that if she’d never stepped on the scale and simply went by how she looked and felt, she would be overjoyed with her success. 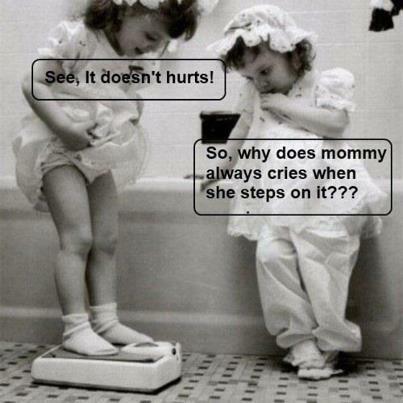 In this case – yes, the scale has lied to her. I recently started weight training and got a set of BIA scales to track my progress. After 2 weeks of training hard and eating right I felt great and my boyfriend was convinced I had slimmed down. I’d got carried away with the scales though and was measuring 2-3 times a day. After 2 weeks I compared with my starting weight and there was no difference, I was devastated and actually had to lie down. The scales really made me question my commitment to this kind of fitness despite FEELING stronger and healthier. Again, this lady was feeling better and seeing results from her efforts, but because the scale number wasn’t in line with her thoughts, she felt like she failed. 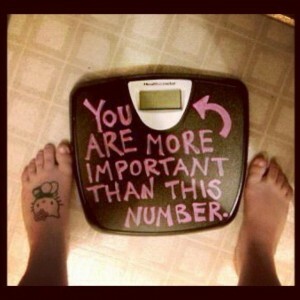 So, the scale lied to her, too. Did you notice something very important? Both of the ladies above were happy with their progress, and felt great, too. But because the number on the scale didn’t do what they expected, their mood was negatively affected. Has this happened to you? Well, I’ve got some disheartening news for you if you’re chasing that magical number. More than likely, once you reach it, you still won’t be happy. I know this because I’ve seen it happen time and time again. Even though some reach that perceived “ideal weight’, they still come up with other things they want to fix or improve. It’s a never ending cycle, my friends. My suggestion is to stop trying to reach an “ideal weight”. This is just one of many reasons why you should NOT have specific fat loss goals. Train for a LOOK and not a NUMBER on the scale. Simple, powerful statement. And I love it. Would you rather look and feel awesome and maintain that appearance with minimal stress, or would you rather be in a constant state of chasing some “ideal number” as discussed above? Forget about the number on the scale – train and eat for the look you want, and forget everything else, especially a stupid number on the scale. Remember – numbers do NOT define you. I decided to stay off the scale for a few months (ended up being four) and keep doing what I’ve done for years – train hard and eat smart. I also took some measurements for comparison later on. The only thing I changed during that four month period was my training regimen. I started to train on an almost daily basis, alternating between upper and lower body training days. Now, I know many of you may think I’m crazy training on a daily basis, but I have my own power rack and barbell set at home, and most sessions only took about 30 minutes. My goal was to have fun with training, focus on performance, and to lift as frequently as possible. If I needed a day off, I took one. I was enjoying my training and I felt awesome. My clothes still fit well and I thought I looked great, too. After about four months of training frequently, and having a lot of fun while doing so, and eating the way I have for years, I stepped on the scale and took my measurements once again. The result – I gained about 4 pounds. Before this little experiment, I weighed on average 125 pounds, and I now weigh about 129 pounds. What happened? Did I gain fat? I don’t think so. According to my measurements, I had sculpted some muscle on my shoulders and thighs, and my waist measurement was the same. During that four month period, I was doing squats and overhead presses several times per week, so that would explain the increase in my shoulder and hip measurements (which is what I wanted). Bottom line – I didn’t expect the weight on the scale to increase, but I didn’t let it bother me because I felt great and my performance on a few key exercises was improving, and my waist measurement didn’t increase. What about Tracking Body Fat Percentage? This may frustrate and even shock a few people, but I don’t think you should focus too heavily body fat percentage either. In fact, if you don’t know what it is, I don’t encourage you to find out. If you’re just concerned with looking great, feeling awesome, performing well in the gym, and fitting into your favorite clothes, why do you need to know your body fat percentage? Let me tell you a quick story. When I was in college several years ago, I took a lab class that included measuring body fat via hydrostatic weighing. My lab partner was an athlete on the University of Louisville swim team. She was lean, strong, and confident in her appearance. She had no problem putting on a swimsuit and walking around a class of about 25 individuals as she approached the tank. A few minutes later we had the results from the test and her calculated body fat percentage was right around 20 percent. She looked horrified when she heard “20 percent body fat.” Her demeanor quickly changed, and she didn’t smile a single time for the rest of the class period. This young athlete was all smiles before the test because she knew she looked great, and she felt strong and confident. However, the body fat percentage that was revealed quickly and drastically changed her perception. Why, all of a sudden, did she feel insecure from a number? What did it matter that she was 20 percent body fat when she felt, and looked, absolutely fantastic and performed well in her sport? This, my friends, is why I tell most people to stay away from tracking body fat percentages, too. They can play a huge mind game with you. Some people may wonder how they can accurately track their progress if they’re being told to put the scale away and not track body fat percentage. There are several other indicators you can track that are, in my opinion, more accurate and don’t fluctuate nearly as much on a daily basis as your bodyweight. The first four at the most important, in my opinion. Are you following simple, stress free nutrition guidelines? How you feel. Do you feel strong and healthy? Do you feel better than ever? Do you have more energy? Are you performing well in the gym, or other activities? Do you find daily tasks easier? Focus on your actions. Are you eating well? Are you training consistently? Are your actions in line with your goals? Improved self-confidence and body image. THIS is was matters, and it’s one of many benefits to strength training. These aren’t necessary, but some people like to track some number. In that case, keep track of a few measurements like waist, hips, thighs, and arms. Apply some simple guidelines via these articles => The 10 Commandments for Simple Fat Loss and 7 (Simple!) Steps to Lose Fat Without Trying. If you’re focused on the scale number decreasing constantly, or you have been training and eating for fat loss for months, or years, on end, then please read the following two articles. Now you should be armed with enough information, and confidence, to tackle the following challenge head on. Put the scale away for 30 days, minimum. Use the “new scales” above, particularly the first four that are listed. I strongly believe you’ll be pleasantly surprised with the results and the new mindset that comes along with the challenge. Sign up for the exclusive Beautiful Badass Mini-Course to discover the sane and simple way to build a better body. You’ll also receive insider only information. Just enter your email below and click “Sign Me Up”.